The season’s latest unannounced release. Alongside the expected weekly drop from Supreme — which included box logo speakers and a Martin Luther King zip-up flannel shirt — the New York label has also dropped a surprise new tee. 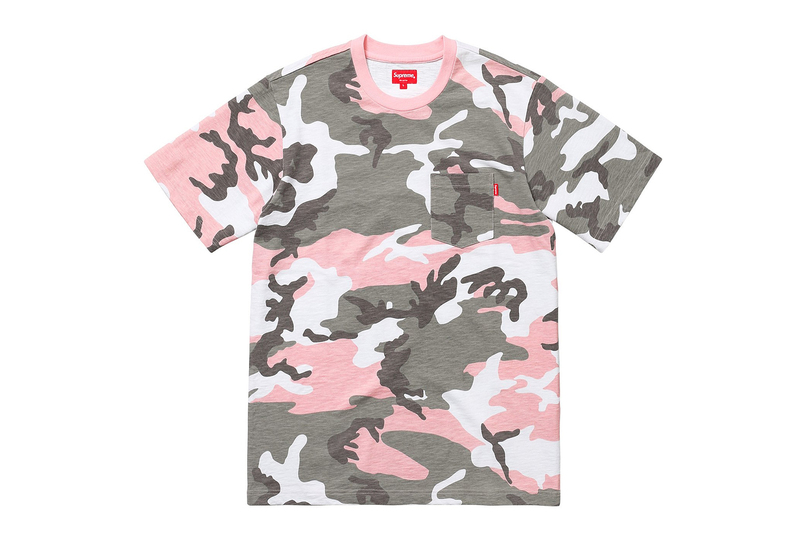 The “Pink Camo Pocket Tee” wasn’t included in the Spring/Summer 2018 lookbook or original list of T-shirts, and features an all-over pink, grey and white camouflage pattern. The T-shirt is the finished with Supreme’s iconic red logo as a tag on the chest pocket. The surprise tee has already dropped at the label’s London and Paris stores, and will hit the New York locations and Supreme web store later today, before arriving in Japan over the weekend. The camouflage T-shirt was on sale in London for £56, so expect a retail price around the $75 USD mark. Supreme has recently had to pull its “Alphabet” pieces from Spring/Summer 2018, reportedly due to cease and desist order. We caught up with the Tokyo fashion figure in Seoul. Perched on a Catalan hillside. A darker (but still fun) take on the universe. New Sock Runners & InstaPump Furies.